Your alarm goes off early on a Monday morning. You reach over and hit the snooze button; five more minutes won’t hurt, right? Next thing you know it’s been an hour and you’re later for work. Not with the Flying alarm clock. 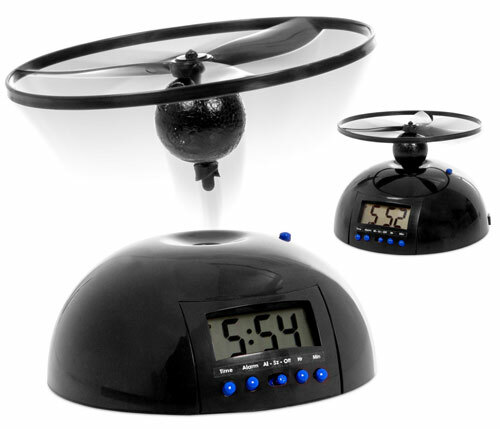 This gadget has a propeller that wooshes the ‘off button’ away, making sure you get out of bed. Popular Mechanics give us the lowdown on this nifty little gadget.